There is no such thing as work life balance; however, you are free to believe according to your experiences and wishes. I believe that there is only work… and… more work the moment we join hands with a company. There are three pillars that support our cause in working — our bosses, our colleagues/team and the management. Life is simply marvelous when all these three pillars are functioning without any glitches. But that is either a myth or doesn’t last long enough. However, the reality is that one gets churned in the office politics even if, one is not involved or doesn’t want to get involved in it. One gets a nice churn in the office mill when the work is really piling up. Where would the fun be? Like some say: “At the end of the tunnel, there is always light.” We all know that no matter how or how much one is churned at the end of the process is the much awaited salary or money, which is the result of our churning day in and day out. 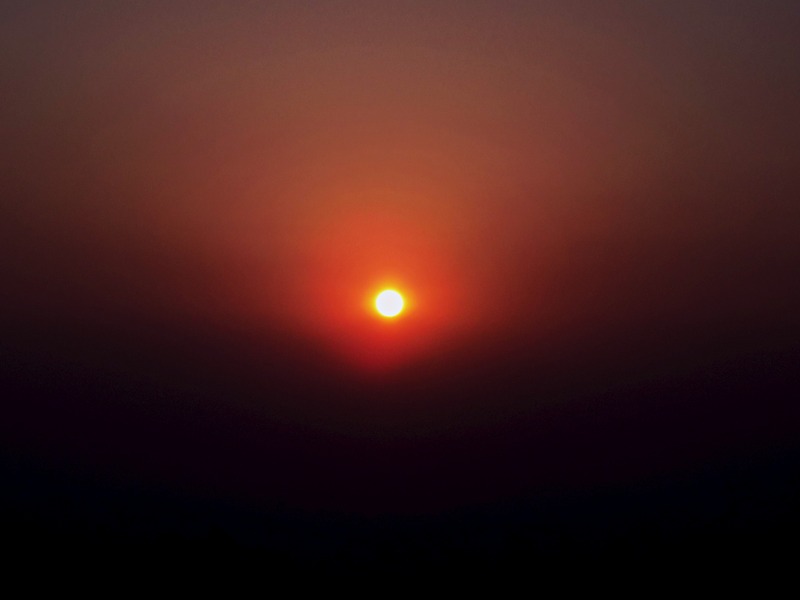 The sun rises with a bright promise of a new day. It sets in time fulfilling its promise. 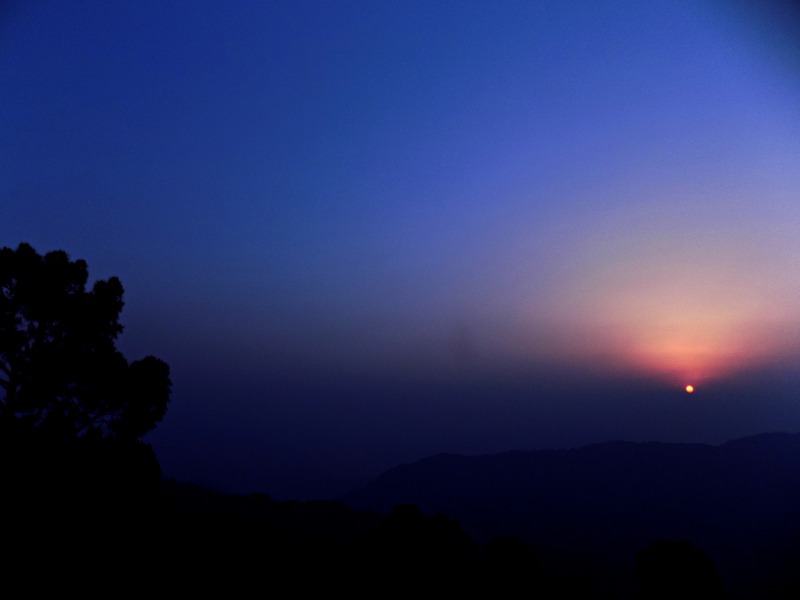 In the evening, I sit in contemplation of what I did and what I could do better for the next day. Awaiting a new sunrise for the next day, I sleep. 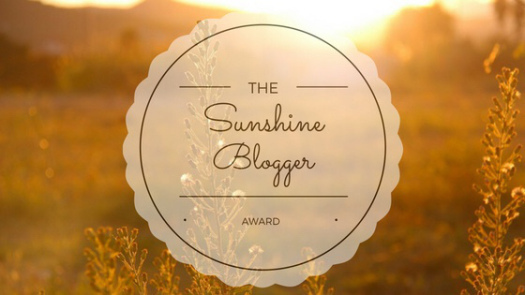 I would like to thank Grateful Single Moms for nominating me for the Sunshine Blogger Award. My apologies to make the post so late, I’m a bit embarrassed but at last it’s here. Which power would you like to possess, if you could have one? Mountains/forests or seas where would you like to spend your time most? What is the next best place after home? What is your favourite movie/ serial or book? If you could change one thing in your home what would that be? What is your blog about and what are your goals for your blog? I started my blog as I wanted to share my life’s experiences and then I moved on to poems, stories, photography. I’m thankful that my blog has transformed ever since I had started this. For me, my blog is a blank space that gives me the opportunity to fill it with as many colours of creativity as possible. I would like to take this opportunity to appreciate the support that I get from my fellow bloggers in the form of their encouraging, kind, supportive comments; likes or follows. I still don’t know what I’ll be adding new to the blog. I’m grateful for a healthy mind and body. I used to have severe migraine and knee aches but I’m thankful that I don’t have them now. My fondest memory is when I was a child of 5 or so and all the family members used to gather for Christmas celebrations. Nature! I’m inspired by nature. Fly! I would like to fly, fly like a kite, a bird, a butterfly, a fly. At the moment I’m proud of joining an art class. I feel like I haven’t slept in a long a while. I would like to go off to sleep for at least a day without being bothered by anybody as to how much I am sleeping. The next thing is a book that I’ve been working on. Recently I feel that I’m drawn to two things — writing and drawing. I would either find myself writing something or sketching something. Although, when outdoors I love to click photos of anything strange, beautiful, and captivating. I had visited Leh last year and I wanted to see the monasteries. They were at a great height. There was no other way than walking. One specific one was Hemis Monastery. It had stairs some 100 or so stairs I don’t remember the number now. But there was no other way — no cycles, no donkeys no motors. You just had to walk to reach the top or the monastery. I started walking but also feared that my knee would start hurting. Throughout the steps I kept the self- talk on. Once we reached I felt every step that I had walked was worth it. The beauty was majestic and the serenity of the place brought inner peace. The walk down was easy. After reaching the hotel in the evening I did some acupressure for myself and slept like a log. Write, share and contribute to your blogging community. Be encouraging and supportive off the efforts of others. It’s good to micro manage things. But sometimes it makes you lose focus on the other bigger things that need your attention. It’s also true though, that a building can only be built keeping in mind both the details and the bigger picture in mind. At times I fumble upon people who do their best to make me realize that I’m inefficient. Or that I’m not enough. Or what I’m doing or do is not enough. They are everywhere – at home, office… outside. I get frustrated. It could be easier to shout at them, but I don’t. It could be their fault or it couldn’t, I pause and think, but we are all human beings molded by our own experiences. Sometimes they have reasons to be BLANK and sometimes they are just plain BLANK. I feel it’s best to avoid such people, as much as possible, and as far as possible. I don’t care what they think of me — rude or whatever. Earlier I used to, but now I don’t. Such people are toxic. They have a way of injecting you with their negativity and killing every ounce of positivity that you own. They may or may not do this deliberately but sadly they don’t want to change or be changed either. On the flip side of this equation, though, I get it — that, no one can let you down, unless you let yourself down first. When we focus and prioritize what we want in our lives, we become efficient. When we talk positive to ourselves over the negative of what others say or think of us, we become efficient. When we live our lives working on ourselves, we become efficient. When we help others who need our help, we become efficient. We are who and what, we chose to be. We are as efficient as we think and want to be… and — we become.